Allen Robertson currently serves as the firm's managing partner. He is recognized as a public finance lawyer of regional and national distinction. Allen is particularly known for his work with nonprofit health care providers, including leading health systems, community hospitals and senior living facilities. He has extensive experience in North Carolina Medical Care Commission bond financings, having served as bond counsel for more than 80 bond issues in excess of $4.9 billion, including approximately $1.1 billion in tax-exempt bond financings for Duke University Health System, Inc. He has also served as bond counsel in tax-exempt financings totaling approximately $1 billion for Carolinas HealthCare System and for more than $2 billion in financings for Duke University. Allen represents banks and broker-dealers in underwriting, placing and remarketing securities, making corporate loans, and providing letters of credit and liquidity facilities. He has extensive experience in the senior living industry, serving as general counsel for nonprofit and for-profit providers and representing buyers and sellers in merger and acquisition transactions. In 2014, Allen represented the seller of eight retirement communities in North Carolina, South Carolina, Georgia and Florida for $476 million. He began his career at Robinson Bradshaw as a bankruptcy lawyer and litigator and continues to provide bankruptcy structuring advice and opinions in transactions and workouts. Served as bond counsel in approximately 80 North Carolina Medical Care Commission financings for health systems, hospitals and continuing care retirement communities totaling approximately $4.9 billion, including approximately $1.1 billion in tax-exempt NCMCC bond financings for Duke University Health System. Served as bond counsel in tax-exempt financings totaling approximately $1 billion for Atrium Health (formerly Carolinas HealthCare System). Served as underwriter’s counsel, representing Citigroup, BB&T, Ziegler, Herbert J. Sims, Wachovia and Bank of America, in approximately 60 health care facilities financings totaling approximately $6.1 billion. Served as bond counsel for more than $2 billion in Duke University financings. Served as bond counsel, underwriter’s counsel and/or bank counsel in student housing financings for Appalachian State University, UNC Pembroke, North Carolina Central University and North Carolina A&T University. Served as bond counsel, underwriter’s counsel, bank counsel or borrower’s counsel in exempt facility and industrial development bond issues throughout the country, including bonds for multifamily housing, airports, docks and wharves, solid waste disposal facilities and manufacturing facilities. Drafted or maintained variable rate demand bond forms for three different banks and assisted them in the development of new modes and products. Represented Citigroup in the development of the Window VRDB product. 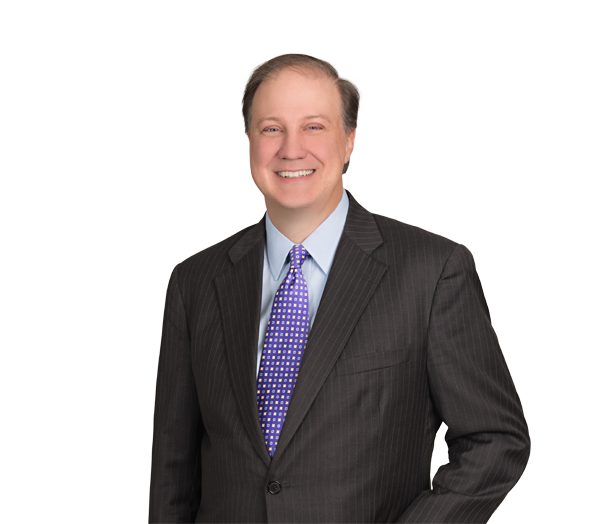 Served as bond counsel and dealer’s counsel for tax-exempt commercial paper programs. Negotiated, or participated in the bidding of, more than $2 billion in notional amount of interest rate swaps. Served as bond counsel for three health systems in connection with the novation of existing swaps to new counterparties. Represented an educational institution in the mediation and settlement of swap liability to the Lehman bankruptcy estate. Served as counsel to a for-profit developer and operator of retirement communities in the sale of eight communities in North Carolina, South Carolina, Georgia and Florida for $476 million. Served as counsel to a nonprofit operator of retirement facilities in connection with the acquisition of a for-profit continuing care retirement community. Allen Robertson Interviewed by Modern Healthcare "Hospitals and lenders see favorable conditions now for seeking financing"